A third of the space is rented to local, production-oriented businesses; a third to art and culture; and a third to community outreach organizations or non-profit associations. There are also a canteen, a project room for events and two guest apartments. 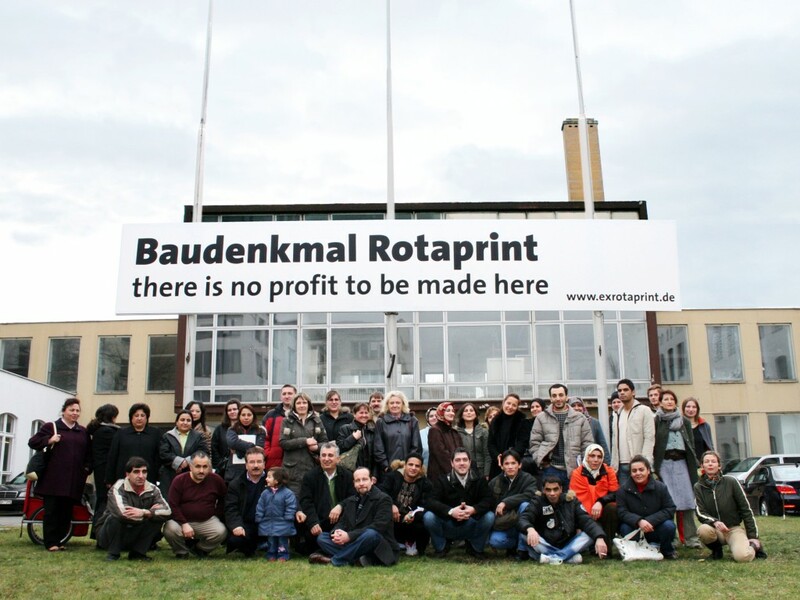 ExRotaprint gGmbH (non-profit limited liability company) founded by renters / the planning team consists of artists Daniela Brahm and Les Schliesser, and architects Bernhard Hummel and Oliver Clemens. After the Rotaprint company went bankrupt in 1989, the 10,000-square-meter manufacturing facility was left without any future prospects. In 2005, artists Daniela Brahm and Les Schliesser formulated a concept for taking over the property through renters already on site. 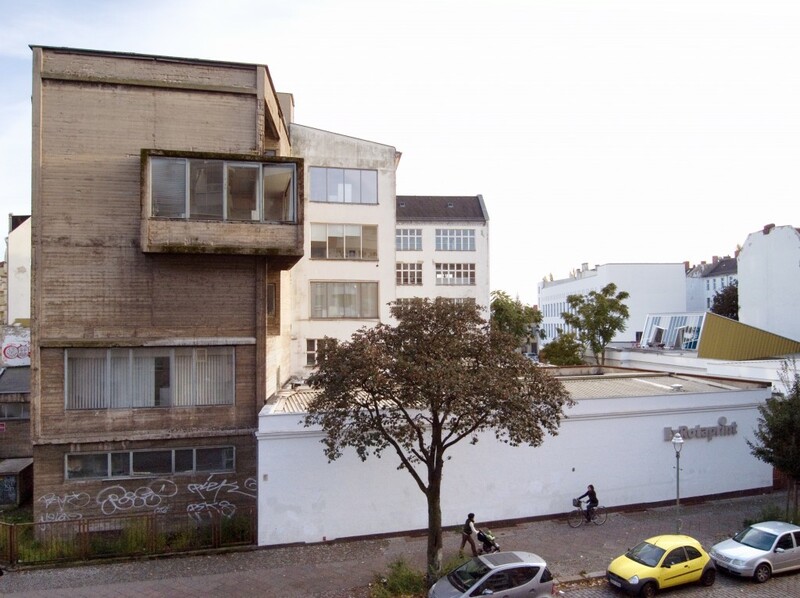 The goal was to develop the location to serve a heterogeneous mix of Arbeit, Kunst, Soziales (work, art, and community). To create a common space for people with different occupations, and different backgrounds and histories, fighting against the delimiting tendencies of culture and money. To prevent real estate speculation. To keep rents low. After successful negotiations in 2007, the non-profit company ExRotaprint owns the buildings through a 99-year heritable building right and is responsible for all aspects of its development. The legal structure prohibits selling the property again and the income from rents is linked to declared non-profit goals.